Since November 1991, empty, dry steel paint cans have appeared in Simi Valley, California curbside containers, right along with other steel cans and a variety of other recyclables. 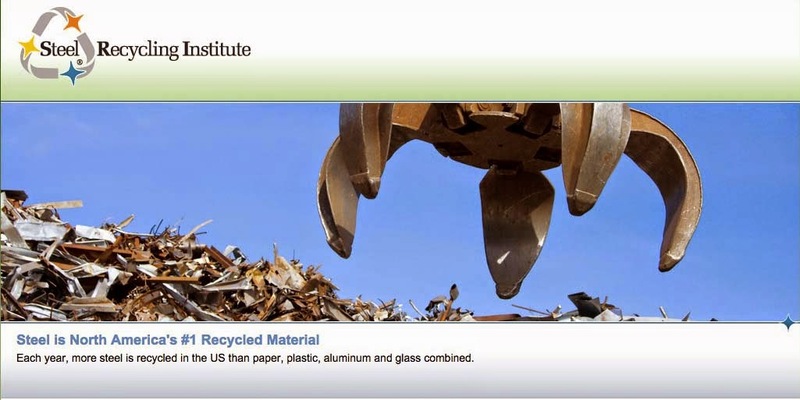 The reason for their inclusion is simple: they are recyclable and are being collected for recycling, along with steel and aluminum food and beverage cans, glass and plastic jars and bottles, polystyrene plastic, aluminum foil, chipboard, cardboard, brown paper bags, and newspaper. The city’s commingled curbside program, implemented in April 1989, now includes all of the city’s single family households (totaling more than 26,000) and half of the city’s multifamily units (totaling more than 7,000). “We have developed our program to include more recyclable items. Collecting steel paint cans is a natural extension of this effort,: said Patrick Pieres, Solid Waste Programs Analyst for the city. Residents are asked to place their empty, dry paint cans into one recycling container, along with the other recyclable items. The paint can lid must be removed and should also be placed in the container. Once a week, the same day as garbage pickup, the recyclable items are picked up either by G.I. Rubbish or Anderson Rubbish. “The combination of material collected (almost 700 tons a month), the diverse types of materials, and the tremendous participation of the residents has made this program very successful,” said Pieres. “We also have two private haulers who have been very helpful in coordinating the recycling program and have been receptive to adding additional materials. The two haulers, both located in Simi Valley, collect and sort the recyclables. The steel cans are taken to Simi Valley Recycling Company, where they are baled and shipped to MRI/Proler in Los Angeles.